Rock ‘n Roll and Youngstown just seem to go together. Your gritty, basic guitar, drums, and bass bands seemed to just fit the gritty character of the city. Probably at one time in most neighborhoods of the city, some young adolescent guys would form a garage band with a guitarist who knew three chords (but what more did you need to play Gloria, the classic garage band song?). Bands like Left End and Glass Harp played all over the area and have had reunion concerts in recent years. Left End had a reunion in June of 2014. A month later, Dennis T Menass (Dennis Sesonsky) passed away. Blue Ash was a favorite at The Freak Out, where they made their debut. 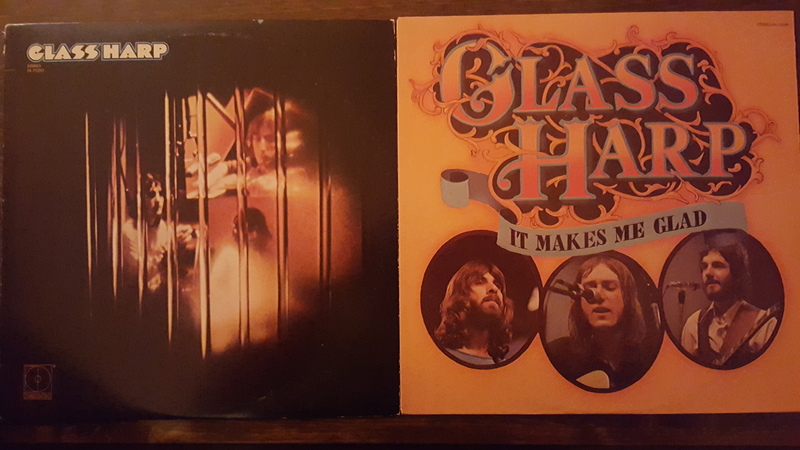 I remember seeing Glass Harp in concert at a union hall on Belle Vista, and like everyone who has ever seen them was astounded with Phil Keaggy’s guitar work. There were lots of music venues around the city (and still are from what I can tell). I already mentioned The Freak Out on the South Side. Over in Austintown, a favorite was the Gazebo Room or the Orange Room at Wedgewood Plaza. Eventually the State Theatre in downtown became a music hall, later the Tomorrow Club and the Youngstown Agora. Lots of people drove up to Kent to hear area bands at J.B.’s. I also remember a place near the university called “Gates of Eden” that was kind of a coffeehouse, and a good place to hear acoustic music while we were all weirdly illuminated by “black” light. Idora Park ballroom for many years was the scene for many of the great Big Bands. By the sixties they started hosting teen dances at which many of the local bands played. Major groups played the park as well including Blue Oyster Cult. WHOT days also featured a number of singers and groups. I remember my sister going to see Bobby Sherman when she was crazy about him! When we were at Youngstown State, Beeghly Center was the venue of choice for a number of big name acts: Don McLean (“American Pie”), Cheech and Chong, The Guess Who, Aerosmith, and James Taylor among others. Of course, Blossom Music Center was nearby. I still remember an America concert I went to with some friends. It had rained that day and the lawn was wet. We were seated near an embankment and we spent the whole evening watching couples arm in arm and guys trying to act cool go slip-sliding down the hill and ending flat on their backs. Far more entertaining than the show! My hunch is that if you had to pick the iconic Youngstown band, it would probably be Left End, with its bad boy, punk rock character, epitomized in Dennis T. Menass. Somehow that fits the “you gotta be tough” attitude of the city. I suspect this all sparks lots of memories of the places and groups I’ve mentioned and many more that I haven’t. I’d love to hear your stories of rock ‘n roll in Youngstown! Great article…and great walk down memory lane on this hot day in SoCal! Thanks for all the great writing you do about Youngstown and other subjects…. Thanks, hope you all will get some cooler weather, and just enough rain. To me the heyday of the Youngstown bands were during the 70s. I was in a band called Young Gifted and Brown. We played throughout Youngstown and the nearby clubs. I also remember The Lawrence Bros. Band playing at the Tomorrow Club. I remember seeing The Bob Seeger System at the Freak Out on Midlothian Blvd. and so many others during this time. I think so as well! Thanks for sharing your memories of these good times! Ray, I’ve heard my aunt mention this band and how much she liked some guy name Junior. Do you guys have anything on wax or floating on the internet we could surprise her with?